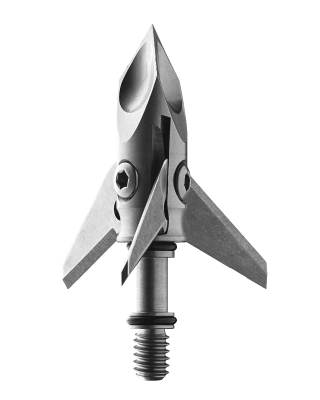 The most accurate, deep penetrating fixed blade broadhead in the world. Incorporating proven aircraft technology, Ramcat is the first fixed blade broadhead that flies exactly like a field point when shot from any bow, at any speed. The patented Airfoil System creates field point accuracy while Back-Cut Technology features both front and rear sharpened blades that do as much damage penetrating a target as it does coming out. Everything you know and love about the Ramcat Broadhead is now capable of fitting your Deep Six sized arrows! Hits like a Ram, Cuts like a Cat!